As I interact with many of my clients and potential clients, I realize that most people do not understand the divorce laws in Indiana. They are confused about the Indiana divorce process in general. But, this is totally understandable. The law is complicated and most people are not lawyers, so they do not need to know this information. But if you are here reading this article, you are interested. So I am going to try to explain some of the Indiana divorce laws in the simplest terms possible without all the arcane legalese. Lots of law firms have articles about different aspects of the Indiana divorce laws. They tend to be short articles about a particular subtopic, or they are covert advertisements about how great a particular law firm is, rather than an overview of the Indiana divorce process. Now, as a disclaimer, this article is not intended to be legal advice. It is for informational purposes only. Also, there are many more issues covered by the divorce laws in Indiana than presented in this article. This article is not intended to cover all the issues included in the Indiana divorce laws, which would probably take thousands of pages. I have written more detailed articles about some of these subtopics, and I will link to those articles in case you want to learn more about a particular subtopic. But this article is meant to be a more general overview to give you a basic understanding of how things work. Divorce is a very fact-sensitive legal area. If you have specific questions about the Indiana divorce laws and how they apply to your situation, you should speak with a qualified Indiana divorce lawyer. This article can help you familiarize yourself with the framework, but it is not legal advice, or a substitute for legal advice. A qualified attorney must evaluate your case and advise you based on the specifics of your case. While these events generally occur in the order I have listed in a divorce case in Indiana, some of these things may occur in a different order in your case. Also, you may not have a provisional hearing in your case, or there might not be any discovery or mediation in your case. All divorces are different. But I will still address each topic as some of you might be dealing with it and will want to know about a particular subtopic. Or you can just skip and read about whichever subtopic you choose. This is not really a stage “in” the Indiana divorce process but it is still important. This is a stage where many people reading this article may be right now – researching the divorce laws in Indiana. Many people have not yet filed for divorce but they are contemplating it, or have been separated for some time and are now getting ready to file. But this stage includes everything before the Petition for Divorce is filed (which officially starts the divorce). Why then have I included it? Because fortune favors the prepared mind. There are many things you can do prior to filing for divorce that can save a lot of time and money in the divorce process. Also, there are pitfalls to avoid prior to the divorce. The more organized you are, the more you may save. You should try to have the best possible understanding and information on your assets and debts even before you meet with an attorney. For example, obtaining copies of all of your and your spouse’s bank statements, financial records, W2s, paystubs, credit card statements, retirement account statements, brokerage account statements, insurance policies, mortgage statements, tax returns, etc. that you may need during the divorce process could be very helpful. As we will see in the discovery stage of the Indiana divorce process, your spouse can, and often will, will ask you to produce a copy of these documents. After the divorce petition is filed, it is sometimes harder to get these documents without the use of your attorney, especially if you no longer live with your spouse or do not have access to them for another reason. By having these documents organized and ready (maybe in a tabbed binder), you can speed up the process. Also, if these documents are organized, you can save money on attorneys’ fees by providing these organized documents up front. Most divorce attorneys work on an hourly fee. So any work that you can do beforehand preparing and organizing these documents will reduce the amount of time your attorney has to spend sifting through and organizing your financial documents for you. This is also a good time to get some emotional support with friends, family or a therapist. Beyond the death of a spouse or child, divorce is consistently ranked as the most stressful life event most adults face. So there is not shame in needing a support system. Attorneys do not make great support systems, as they charge by the hour, and most are not qualified as therapists. So talking about your reasons for wanting the divorce for extended periods of time with an attorney can be very costly and not nearly as effective as talking to a therapist. To Attorney or Not to Attorney? Now is also the time to decide if you are going to hire an attorney, attempt the divorce without an attorney, or try a collaborative divorce solution. I always think having an attorney to protect your interests is a good idea. If your divorce will involve substantial assets or minor children, or if you think the divorce is going to be really contentious, I’d definitely advise you have an attorney. I often have clients come to me regarding child support issues or custody issues after a divorce completed without an attorney and it can be costly to attempt to fix mistakes made by the parties who didn’t have lawyers. Plus, many people just do not know what they are entitled to under the divorce laws in Indiana. How do you choose the right attorney? That’s like asking “how to choose the right car?” Ask family or friends for a recommendation. Or call a few attorneys to discuss your case. Read reviews of potential attorneys to see what their past clients think of them. Most attorneys have free consultations to discuss your potential divorce case. Ask each attorney about their retainer and their hourly rate. See which attorney you connect with best or which attorney seems knowledgeable about the law and issues you are facing and can intelligently answer all of your questions. These are all good signs that the attorney is a good fit. If you were not the one who filed for divorce, or did not know your spouse was going to file for divorce, being served with divorce papers can be a very stressful event. We have written about it more detail here. The filing of the Petition for Dissolution of marriage starts the divorce process in Indiana. And, unless the parties have filed a legal petition for separation before filing for divorce, the filing of the Petition for Dissolution of Marriage also acts as the legal date of separation of the parties. The date of separation can be important in determining the equitable distribution of assets later on. The allegations in a divorce petition (allegations are the written statements in a divorce petition) are usually generic, but sometimes the petitions do contain hurtful allegations with which you may disagree. Try not to let it upset you because these allegations generally have no legal impact on your case. For example, you may see a general allegation from your spouse “that it would be in the best interest of the child(ren), that sole custody be awarded” to him or her. But other than stating their preference for sole custody, this allegation will have no impact on the final custody decision. If custody is contested, the court will ultimately decide the custody issue using eight factors under Indiana law. Just stating it in the petition does not mean they are going to actually get it. Now if you are the party receiving the divorce petition, you can, but you do not have to file an Answer responding to those allegations. The divorce laws in Indiana state that you may file a responsive pleading, but it is not required. As explained above, just because you do not file a responsive pleading to the Petition for Dissolution does not mean that the things the other party requested in their petition will be granted. You can file a counter-petition for divorce. You could do this for a few reasons, including but not limited to: 1) If you file a counter-petition, the divorce would continue even if the person who originally filed for divorce dismisses the divorce suit; or 2) to ask for things such as maintenance, or sole custody, that the other party did not ask for in their petition. In fact, Indiana cause numbers (the numbers given to each case filed in court) distinguish between a divorce with (minor) children and a divorce without (minor) children (DN vs. DC). This is because in a divorce case with children, the Court has many more issues to address, including: custody, parenting time (formerly called visitation in Indiana), and child support. However, when a divorce does not include children, the primary issue in a contested divorce is the marital assets/property. Of course, in a divorce with children, there can also be contested issues regarding the division of marital assets/property. However, in my experience, divorces with children tend to be costlier as there are more issues and the parenting of minor children involved. In an Indiana divorce case, almost everything that is done in the divorce case revolves around these two concepts – the splitting of marital assets and determination of custody of minor children (along with the related issues of parenting time & child support). All the discovery issued in a divorce case, which I discuss below, is aimed towards resolving a dispute regarding these two major issues. (3) Incurable insanity of either party for a period of at least two (2) years. where the petition is filed for three (3) months immediately preceding the filing of the petition. So, even if the other party no longer lives in Indiana, a party can still file for divorce in Indiana as long as they meet the state and county requirements. The other party may also be able to file for divorce in the state where they now live, as long as they have met the state and county requirements for their state of residence. But there cannot be two separate divorces in two separate states pending. Generally, it is the state where the divorce petition was filed first that has jurisdiction. The Full Faith and Credit Clause of the U.S. Constitution then requires that each state give credit to a divorce decree issued from another state. Whenever a petition is filed, a copy of the petition, including a copy of a summons, shall be served upon the other party to the marriage in the same manner as service of summons in civil actions generally. This is known as Notice or Service of the divorce petition. The divorce laws in Indiana do not allow you to proceed in a divorce if your spouse is not even aware that they have been sued for divorce. The other side must be properly served with a copy of the Petition and a Summons. The notice requirement can be accomplished in a few ways, including: by certified mail, or by serving them yourself and filing an affidavit, or hiring a process server. 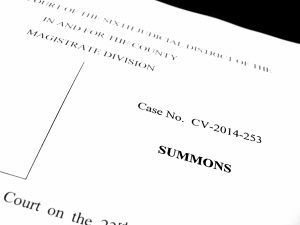 A process server is usually a company who you can pay to serve an individual or business in a lawsuit or divorce. You have probably seen this on TV where someone is dressed like a pizza guy and then serves the divorce petition on the other party. While not as dramatic, this is the idea. Now one concern I hear from clients is that they do not know where the spouse currently lives, or that their spouse has left the country so they cannot serve them with a copy of the Petition and summons. The divorce laws in Indiana do state that the other party shall be served in the same manner as service of summons in civil actions. One other method to serve another individual notice of suit is by publication. In Notice by publication, one party explains to the court that the other party cannot be found, has concealed their whereabouts, or has left the state. The party then asks the court to allow them to publish notice of the divorce or suit in the newspaper. If approved by the Court, the party then runs the notice (which must have specific things in it) three times in a newspaper authorized by law to run notices, in a county or state where the other party was last known to reside. This method of service is a bit more difficult but it does offer relief to those who would otherwise be unable to serve notice of the divorce on the other party. Many divorces take much longer than sixty (60) days, but even for uncontested divorces, where all the issues have been agreed upon by the parties, you still must wait sixty (60) days before the Court will grant the divorce and issue the decree of dissolution. After filing the Petition for Dissolution of Marriage and providing notice to the other party, you need to be aware of the waiting period. 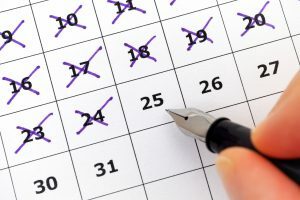 The divorce laws in Indiana require a minimum waiting period of sixty (60) days after the filing of the Petition for Dissolution of Marriage before the divorce can be granted by the Court. If the parties cannot come to an agreement on some or all of the issues in the divorce, a final hearing may be necessary. A final hearing is essentially a trial in front of the judge regarding the issues to be decided in the divorce: the division of assets, maintenance (if any), custody of minor children, parenting time, child support, etc. The parties present evidence and the judge makes the decisions as to all the contested issues. However, in most divorces that require a final hearing to decide some or all of the issues, it can take quite some time before reaching that final hearing. Especially if extensive discovery is necessary. Enter the provisional hearing also called preliminary hearing. This hearing is usually requested quickly after the filing of the Petition for Dissolution of Marriage by one party to ask the court to make some preliminary rulings regarding child custody, child support, parenting time, spousal maintenance, and assets. The decisions made by the judge at the provisional hearing will last until the parties either reach a final settlement agreement or the judge makes their final decisions at the final hearing. Provisional hearings are not always needed or requested in every case, but there are cases where they may be necessary for one or both parties. Some parties can agree on many or all of the issues making a provisional hearing unnecessary. This does save money on attorneys’ fees for both parties. 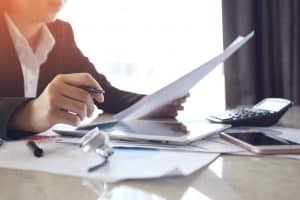 But, for example, if one spouse doesn’t work and is requesting spousal maintenance before the final division of assets, they may need a provisional hearing if the other spouse will not agree to it. Or if the parties are currently living together in a house and feel they cannot live together during the pendency of the divorce, one party might request that the judge require the other spouse to move out and pay rent or the mortgage. One party might request that they be allowed to take some items (bed, tv, etc.) with them to their new residence. Parties might request that they be given temporary custody of the children, and be paid child support, with provisions for parenting time for the other parent. A party may also request that the other party pay their attorneys fees so they can afford an attorney. Discovery is the next step is the Indiana divorce process. While I call it the next step, discovery can actually occur immediately after the filing of the Petition for Dissolution of Marriage and any time after until the final hearing, or other court order setting a time period for discovery. Discovery is the process in a lawsuit or divorce where each party can obtain evidence from the other party by various methods, including (but not limited to) depositions, interrogatories, requests for production, or non-party requests for production. Let’s look at some of these methods to see what they mean. A deposition is where a lawyer gets to question the other party under oath about various topics related to the case. The person whose deposition is being taken will usually have their lawyer present to object to any improper questions. But there is no judge present because this happens prior to the trial. Instead, there is a court reporter who types each question and each answer, which is given under oath. This is then typed up into a transcript. A deposition is helpful because it allows one party to know how the other party is going to testify at trial, and what their positions are regarding various topics. At a final hearing (trial) in a divorce, if the other side changes their testimony at trial, the lawyer can then impeach them (challenge their credibility as a witness) by bringing up the transcript of their sworn testimony in the deposition. Depositions are not taken frequently in typical divorce cases as they can be expensive. Both sides have to pay for their lawyer as well as the Court’s reporter’s time and the transcript. But in contentious cases, they can be helpful if you know a final hearing is likely. Interrogatories are a series of written questions sent to the other party to ask them their positions on various matters (child custody preferences, reasons why one parent shouldn’t have custody, proposed split of assets, yearly income, etc.) Its not nearly as effective as a deposition, as you are limited in the number of questions you can ask in the Interrogatories, and you can’t really ask follow-up questions. Plus, they are usually peppered with the party’s lawyers’ objections. But they do serve a useful purpose in establishing the opposing party’s position. Requests for production are requests that the other side produce certain requested documents that are needed as evidence. You can request the other side’s pay stubs, W2s, tax returns for the last five years, credit card statements, bank statements, retirement account statements, etc. In regular life, people can not usually require other people to provide them documents. But during a divorce case, and other lawsuits, a party has subpoena power of the Court to require the party to produce the requested documents. If a party objects to a request for production he can ask the Court to quash the request, or the other party can seek the assistance of the Court by filing a Motion to Compel the other party to produce the requested documents. These requests are crucial in a divorce case to “discover” the evidence you need to support your position at trial or for settlement. Non-party requests for production are similar to regular requests for production except that they are sent to “non-parties”, a person or corporation who is not a party to the divorce (or lawsuit). These can be sent to employers, banks, medical providers (if relevant for some reason), etc. Again, the party has subpoena power to compel these responses from the non-parties and these non-party requests are helpful in obtaining documents and evidence that the other party might not have in their possession. Discovery might not be necessary in your case. In many cases, the parties just agree to informally exchange the documents needed by the other party without the need for formal discovery. This saves time and money for both parties on attorneys’ fees. And if you take my advice regarding gathering documents prior to filing the Petition for Dissolution, this will be easier for you and again save you money. But if you feel like the other side is not providing you with all the documents requested, you always have the option to request or subpoena those documents with the discovery rules. Discovery can take a long time as the parties may need a lot of evidence. It takes time to draft the discovery, to send these requests, for a party to answer them, and to analyze the responses. In many cases, discovery is the longest part of a case as the parties use it to prepare for a final hearing (trial) or for settlement negotiations. 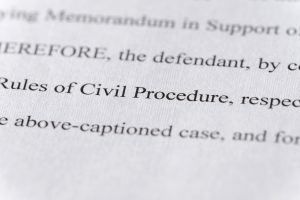 The Court in which the case is pending is usually hands off during the discovery process, unless the parties have a discovery dispute, in which case a motion or hearing may be necessary to resolve the dispute. Another step in the Indiana Divorce Process that can take place at any time after the filing of the Petition for Dissolution is the filing of Motions. A motion is simply a party asking the Court to make a decision about something or to take some specific action. For example, as we discussed above, a party could file a motion asking the Court to set a date for a provisional hearing. Likewise, a party could file a motion asking the Court to set a date for the final hearing. A party can file a motion requesting the parties attend mediation. In a divorce involving minor children, a party may file a Motion to Appoint a Guardian Ad Litem to help with a custody dispute. Or, as we discussed in the Discovery section above, a party can file a Motion to Compel, asking the court to compel a party or a non-party to answer the discovery requests properly sent to them. A motion to dismiss could be filed to dismiss the divorce action if the parties reconcile during the pendency of the divorce. One common motion in divorce cases is a Motion for Contempt, asking the Court to force someone to comply with a previous court order. A Motion for Sanctions ask the Court to punish a party for contempt by requesting the Court sanction a party for certain behavior or award attorneys’ fees. A strong motion, with a supporting brief or memorandum (a legal brief citing the facts and law supporting a party’s motion), can be a very effective legal tool in the right situations. But, deciding if and when to file a motion, and what type of motion, should be discussed with your attorney as it involves legal strategy. There also may be state and/or local rules, including deadlines, regarding the filing of certain motions. So again, you should discuss it with a qualified attorney. Really, there are a lot of potential motions that could be filed. But that does not mean that they should always be filed. If a party files too many motions, or unsupported motions, they risk drawing the ire of the Court, who must take a lot of time to rule on what may be many frivolous motions. Even after the divorce case is over and the Court has ordered the Decree of Dissolution, it is still possible to file Motions that would reopen the case. For example, if there is custody award to one parent in a divorce, and that parent is subsequently arrested or develops a drug problem, the other parent could file a Motion for Change of Custody. Or if one party fails to abide by the terms of the settlement agreement or the Court’s Order, a party could file a Motion for Contempt. Again, these are issues that should be discussed with a qualified Indiana divorce lawyer. Mediation is another step in the Indiana divorce process that can take place at any time after the filing of the divorce. In fact, the parties could even mediate before the Petition for Dissolution was filed to reach agreements for an uncontested divorce. Usually though, the parties have conducted some discovery or exchanging of information before mediation. Sometimes, mediation is ordered by the Court on its own, and other times one or both of the parties files a motion with the Court asking the Court to order the parties to mediation. Mediation is where parties hire a mediator to help them reach an agreement. The mediator is often a neutral attorney, who has no connections to either party, who is selected by either the parties or the parties’ attorneys. Once selected, the mediator will schedule a date for the mediation. The parties then show up at the mediation with their attorneys (if they have attorneys). At the mediation, the parties are usually separated in separate rooms and may not even see each other. The mediator will act as the go-between to find out what each party wants and try to get the parties to come to the middle for an agreement. One party may give up something they want and the other party may give up something in return. The lawyers act as advocates for their clients, explaining to the mediator the facts they believe support their clients requests, and what facts they believe support what could be awarded to them at the final hearing (trial) if the parties won’t settle. 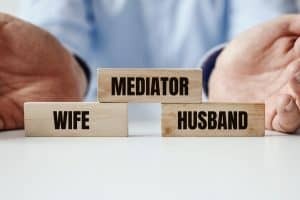 At mediation, you can resolve all the issues or some can be decided but leave others for the judge at a final hearing. For example, you could agree to a division of the parties’ assets, but leave the child custody issues for the judge to decide. A lot of times, having a mediator can help break an impasse the parties are having in their negotiations and settle the case. Mediation has been very effective in Indiana in reducing the overall number of trial or final hearings. Selecting the right mediator for the parties can be important. Different mediators have different styles, some are more aggressive in trying to get the parties to settle and others are more laid back. Different styles work best for different parties. What is said between the parties and the mediator is confidential and mediators are bound by Indiana’s rules related to mediation and mediators. One important thing to note is the difference between mediation and arbitration. Arbitration is another form of alternative dispute resolution process where a neutral party (the arbiter) tries to help the parties reach an agreement. But, when the parties are in arbitration, the decision of the arbiter is binding. Conversely, in mediation, the parties can take the recommendations of the mediator, but are not forced to accept the decisions or recommendations of the mediator. Instead, a party, or both parties, can decide to proceed with the divorce case, which still could settle between the parties (without the help of the mediator), or take the case to a final hearing (trial). Mediation can be costly as the parties have to pay their respective attorneys for their time, as well as half of the mediator’s hourly fee. Mediations are typically a half a day, but can be a whole day or longer if there are a lot of assets or complicated issues to resolve. 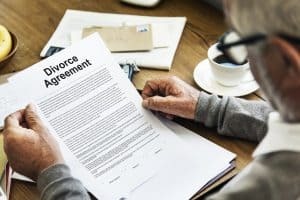 If the parties are able to agree on all the issues in the divorce, including a division of the assets and custody arrangements for the minor children, then they can sign and submit a settlement agreement to the court instead of having a judge decide the issues at a final hearing (trial). Usually, the parties will also sign a Waiver of Final Hearing, letting the Court know that the parties have resolved all the issues and are waiving their right to a final hearing. Sometimes the parties are willing to agree on the issues, often one party is willing to compromise and the other won’t, and often both parties refuse to compromise or agree. Sometimes, one party won’t compromise because the proposed settlement agreements is actually unfair. Other times it is because one or both parties is still very hurt or emotional, and the emotions can cloud their judgments on what is a fair settlement under the law. Ultimately, settlement agreements can save the parties money as final hearings can be expensive. In addition, settlement agreements allow the parties to decide their own fate. Many parties think it is better to come to agreement themselves which they can both live with rather than having a judge decide the issues for them, which may or may not go their way. In the settlement agreement, their should be a distribution of the marital property, including: real property, personal property, business ownership interests, vehicles, bank accounts, credit cards, stocks, IRA/401ks, tax returns, debts, etc. Now, Indiana is an equitable distribution state for the division of marital property, not a community property state. We have explained equitable division in a previous article here. But this does not necessarily apply to settlement agreements. The settlement agreement is a contract between the parties, and they are free to negotiate and come to an agreement as they choose. So the settlement agreement doesn’t necessarily have to follow the law that a judge would have to follow if he were to make the decisions regarding the split of the property, aka equitable distribution. But the parties should keep the law in mind while negotiating because if they don’t reach an agreement, they should know the law the judge will be following when splitting the assets after a final hearing. This helps them make decisions about what is a fair deal. Also, being unable to reach an agreement on small amounts or details can be very costly. For example, if the parties are fighting over a $2,000 difference in the settlement agreement and go to a final hearing they should know that they may pay well over $2,000 in attorneys’ fees for preparation and conducting the final hearing depending on the case. And the judge might not even rule in their favor. In some of these situations, emotions often trump logic and the parties wind up in a worse situation than if they would have agreed. If there are minor children, the settlement agreement should also address custody (sole custody for one parent, 50/50, etc. ), parenting time (visitation), and child support. Also, if one party wants a prior name restored, it should be put in the settlement agreement. After reaching an agreement on all these issues, the parties generally have one of their lawyers draft it, the other lawyer review it, and it may go back and forth a few times before a final agreement is reached. After it is signed by both parties, and their lawyers as to its form (if they have lawyers), the parties submit the agreement to Court, with the wavier of the final hearing, and a proposed Decree of Dissolution for approval by the Court. Most of the time, the Court will approve the agreement. However, the Court still must look out for the best interests of the child, and they could choose to reject the settlement agreement, but this is rare. Remember, there is still a waiting period of 60 days before the Court will grant a divorce. So even if the settlement agreement is reached early on, the Court will not approve it and issue a Decree of Dissolution until 60 days after the filing of the Petition for Dissolution. As I stated earlier, if the parties cannot come to an agreement on some or all of the issues in the divorce, a final hearing may be necessary. A final hearing is essentially a trial in front of the judge regarding the issues to be decided in the divorce: the division of assets, spousal maintenance (if any), custody of minor children, parenting time, child support, etc. The parties present evidence and the judge makes the decisions as to all the contested issues. Both parties will be given the opportunity to present evidence to the court. This can be in the form of testimony of the parties and/or the witnesses they call. Or it can be in the form of documentary evidence, such as bank statements and other written documents. Usually, a party will use the documents it obtained during the discovery process. Each party wants to just explain to the judge their side and their requested relief, by using testimony and documentary evidence. The Petitioner (the person who filed the Petition for Dissolution) goes first in presenting their case. Then the Respondent (the other party) gets to question or cross-examine the witnesses presented by the Petitioner. After the Petitioner has presented their case, the Respondent then gets to present their witnesses and other evidence, whom may be cross-examined. It is important to note that all the evidence submitted to the Court in the final hearing, whether testimonial evidence or documentary evidence, is subject to the Indiana Rules of Evidence. So I believe this may be the most critical stage to have be represented by an attorney as parties that are not represented by a lawyer will still be held to the standard of an attorney when it comes to responding to and raising objections to hearsay, foundation, authentication, and other evidentiary objections as well as procedural requirements of the Indiana Rules of Trial Procedure. For example, a party may just want to submit a credit card bill or bank statement to prove some fact. But even the introduction of this document can be tricky depending on how the party obtained the document. A foundation may need to be laid, or the document’s authenticity may be questioned, or the document may contain hearsay. Without knowledge of the rules of evidence, and the specific exceptions to certain rules, a party without an attorney may be at a significant disadvantage. Also, a party must timely object to evidence at trial with an objection that clearly specifies the party’ basis for objection, otherwise their ability to appeal can be waived. At trial the judge acts as the decider of the law, sustaining or overruling legal objections. The judge also acts at the decider of the facts, determining the equitable division of assets and awarding custody based on what evidence the judge believes is most compelling. If there are issues of credibility, where one side says one thing, and the other side says the other, the judge makes the determination as to who is telling the truth and what the facts are. The last stage in the Indiana divorce process takes place after the court approves the settlement agreement or issues its ruling after a final hearing: a decree of dissolution is entered. The decree makes the divorce official and final. A divorce order cannot be attacked in another court. However, the parties do have a right to appeal the ruling of the court after a final hearing if they feel the judge erred in “equitably” (think fairly) dividing the marital property or regarding custody, parenting time or child support for the minor child/children. 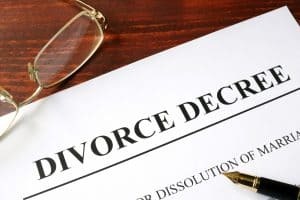 The divorce laws in Indiana state that an appeal from the provisions of a dissolution decree that does not challenge the findings as to the dissolution of the marriage does not delay the finality of the provision of the decree that dissolves the marriage, so that the parties may remarry pending appeal. This means that as long as the appeal does not challenge the specific requirements for divorce (residency, whether party was pregnant, etc. ), the appeal does not affect the finality of the divorce decree. A person can marry someone else without committing bigamy and still challenge the court’s findings as to certain issues. After the Court issues the divorce order, many parties often feel that the Court got it wrong. To make sure that judges act appropriately and correctly apply the law, divorce laws in Indiana allows the parties to appeal the Court’s ruling to the Indiana Court of Appeals. The parties can challenge some or all of the court’s ruling, including the division of assets, or the Court’s custody award, or child support calculation. All appeals of any of the Court’s order must be made within 30 days of the date of the Order. Failure to challenge the Court’s order means you waived your right to ever appeal the divorce order. Sometimes, a party can file a Motion to Correct Errors in the trial court prior to appealing. This motion, filed with the trial court, not the Court of Appeals, tries to convince the trial court it made a mistake, or many mistakes, in the divorce order. It gives the trial court a chance to fix its mistakes prior to appeal. In divorce cases, it is generally not a requirement that a party file a Motion to Correct Error prior to filing an appeal. However, it can be faster and cheaper as an appeal can be a lengthy and complicated process. If you do file a Motion to Correct Errors with 30 days after the Court’s ruling, the time period for actual appeal begins 30 days after the Court rules on the Motion to Correct Errors. Again, its important you speak to an attorney regarding the timing of a Motion to Correct Errors or an Appeal. An appeal of a Court’s Order on a final hearing is governed by the Indiana Rules of Appellate Procedure. These rules have very specific requirements and can be complicated. I do not recommend a party attempt to draft an appeal pro se, as a party without an attorney will still be held to the standards of a lawyer. One thing clients must understand in determining the chance of success of an appeal is the concept called the “standard of review”. This standard is the way an appellate court will review the evidence and argument contained in the appeal before it. It is the main difference between a trial court and appellate court. An appeal is not a chance to retry your case in front of a different court. Instead, it is a chance for the appeals court to determine if the trial judge correctly applied the law. Notice I said correctly applied the law and not correctly decided facts, because generally, the standard of review for divorce cases is an abuse of discretion. A question of fact involves a dispute about important facts. For example, if one spouse testifies at a final hearing that the other parent is abusive and should not have custody, and the other parent testifies likewise about the other parent, there is a question of fact. The judge will have to decide who to believe based on the evidence and his/her observation of the testifying witnesses at trial. The Court of Appeals gives the trial court great deference here. 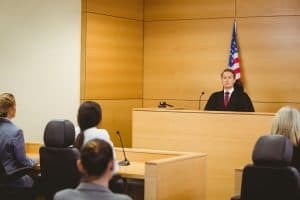 This is because the judges are present during the testimony and is the unique position to observe body-language and other cues to determine who is telling the truth. Even if you think the judge got it wrong, rarely will a judge’s decision be overturned on this basis. However, if the judge misapplied the law, for example by not granting one parent any parenting time without making a required finding that parenting time is harmful to the child’s interests, this may be overturned on appeal. In the future, I will write a separate article about appeals as there is so much information that it is beyond the scope of this article. Most importantly, you should remember that you have 30 days to appeal after the Court’s ruling. 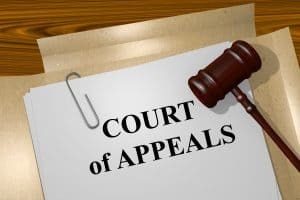 I strongly suggest you speak to a qualified Indiana Divorce Lawyer or Indiana Appellate Lawyer immediately after a ruling to discuss whether you have a potential appealable issue. While this article gives a brief overview of the divorce laws in Indiana and the Indiana divorce process in general, the body of case law surrounding the divorce in Indiana is extensive. Anyways, the divorce is a very fact-specific inquiry depending on the circumstances in each case. If you have more questions, we would be happy to discuss it with you in a free initial consultation. Avnet law understands the issues, the law, and can advise you regarding the divorce laws in Indiana. Avnet Law represents clients in divorce actions in Indianapolis, Noblesville, Fishers, Carmel, Westfield and central Indiana. 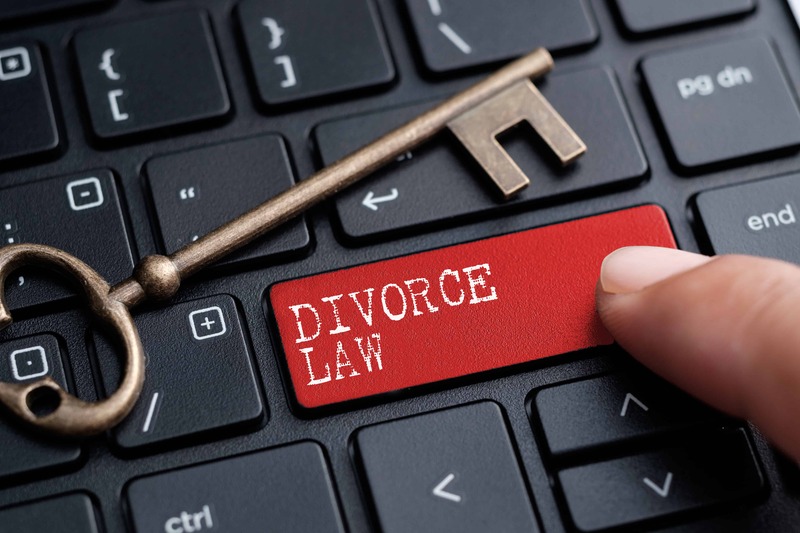 Call 1-877-77-AVNET to Schedule a Free Consultation with an Indianapolis Divorce Attorney today or contact us below with any questions you may have about your case and the divorce laws in Indiana or the Indiana divorce process in general.